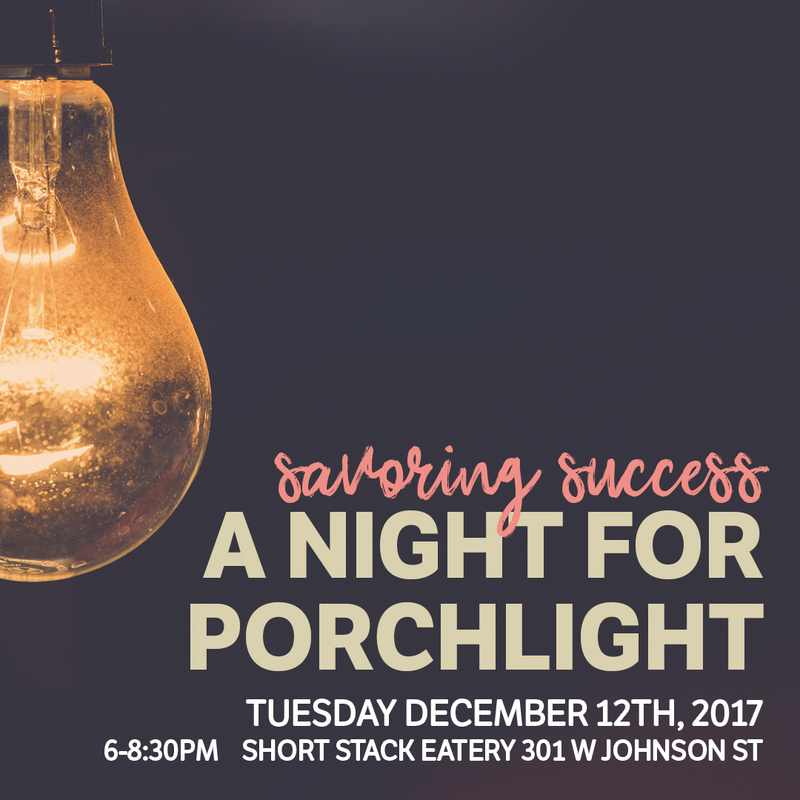 Short Stack Eatery invites the greater Madison community to participate in an impactful experience on Tuesday, December 12, 2017 by attending their third annual benefit dinner. The four-course dinner will incorporate several Porchlight Products and includes wine and cocktail pairings. In addition to dinner, guests will enjoy a silent auction, raffle, and interactive gallery. All proceeds will benefit Porchlight, Inc. in Madison. Porchlight has been combating homelessness in one way or another in Dane County since the 1980’s. Porchlight provides shelter, housing, and food as well as empowerment of individuals through counseling and employment services. By offering affordable housing options and job skill development opportunities, Porchlight has and continues to support thousands of individuals in navigating their way out of homelessness. Guests are encouraged to bring items from the Porchlight Wish List to the event. For each item donated, guests will receive a free raffle ticket and a chance to win great prizes. For more information about Porchlight as well as their current needs, go to their website at http://porchlightinc.org/wish-list/. The event will take place at Short Stack Eatery (301 W. Johnson Street). The annual benefit dinner reflects SSE’s commitment to sustainable community partnerships and the local food movement. Tickets for the event are limited and must be purchased online at https://savoringsuccess.eventbrite.com.